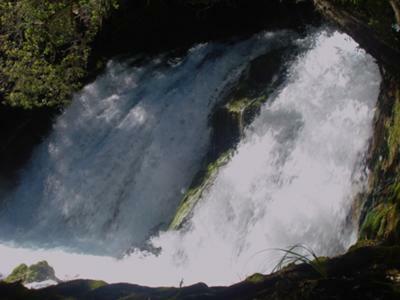 I notice there is a write up about Tarawera Falls in the New Zealand waterfall reviews section. Here’s a pic of a waterfall further upstream toward Lake Tarawera(as discussed by Steve Peake). Feel free to put that below his waterfall review.